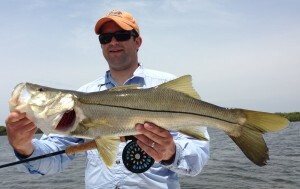 Fly fishing in Tampa Bay offers a wide verity of opportunities for beginners through expert fly anglers. 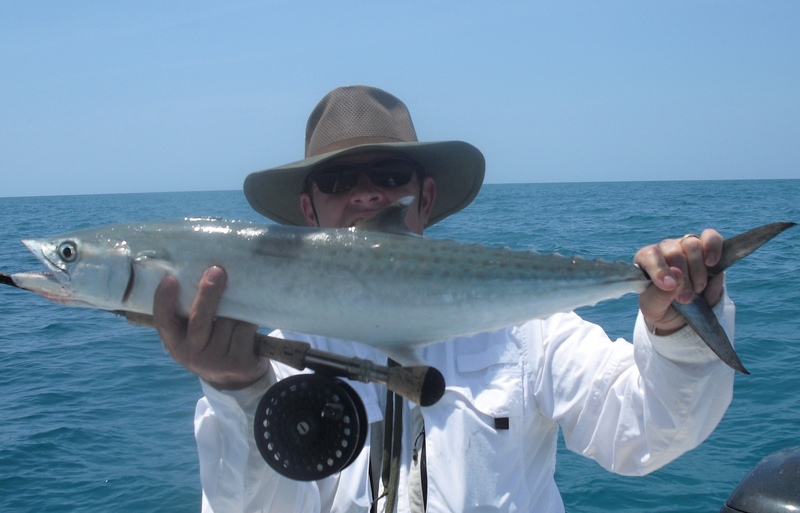 From the easy to hook high Flying Lady Fish for the first time fly fisherman to its largest cousin the giant Tarpon for the more seasoned fly anglers, Tampa Bay has it all. 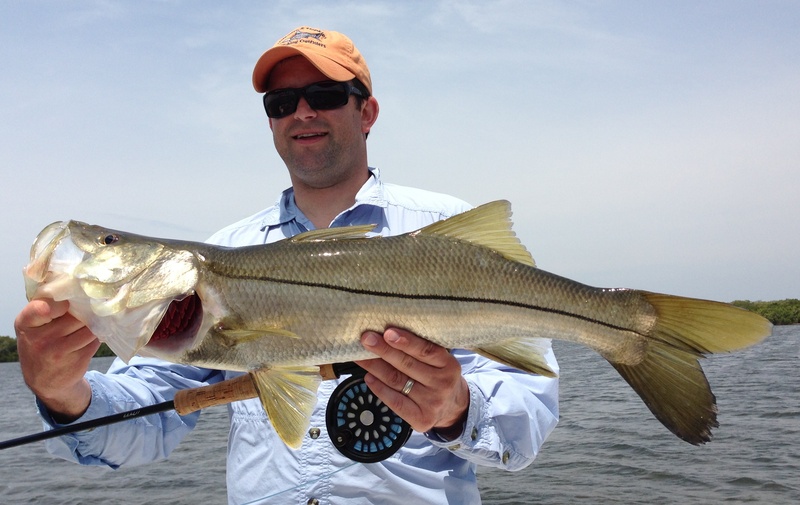 Saltwater fly fishing purists come from around the world to fish the flats in Tampa Bay. The crystal clear water and abundance of different species is what makes the Bay area a sought after destination. The sight fishing for Snook and Redfish in shallow clear water is what the avid fly fisherman comes here dreaming about. Of course, the area is well known to fly fishermen for its massive school of Tarpon as well. The world record Tarpon, 204 pounds, was take not very far north in Homosassa. It’s just a matter of time before that record falls here in Tampa Bay though. 200 pound Tarpon are landed everyday on bait during the peak of the run, and these same Tarpon are very willing to take a fly. Fly fishing charters here in the Bay area are not only available on the shallow flats. The offshore fly fishing is equally as good. Kingfish love to eat flies. A knowledgeable captain knows how to chum them to the surface where the fly can be presented, and the angler can actually see the fish take it. Some of the Kings can run 40 pounds and literally smoke a fly reel. Mixed in with the Kings are False Albacore, tremendous fighters that love to eating flies. Mackerel are another easy target offshore when chumming up the deep blue sea. Fly fishing guides around here also have many different species of Jacks. As every saltwater fly fisherman knows, Jacks love to eat a well hand tied fly. Amberjacks up to 100 pounds can easily be chummed to the surface for the awaiting fly angler. Lesser Amberjacks, the smaller variety, can me caught by the dozens. Yellow Tailed Jack that can get up to 30 pounds makes formidable targets. We also have fly fishing trips for Permit. Yes, I said Permit. Few people know Tampa bay has tremendous Permit fishing on its offshore reefs. Sometimes fly anglers have opportunities to cast to schools of Permit numbering in the thousands. My personal best day on Permit was 32 fish to the boat; 15 of which were caught on the fly rod. Some of the Permit range up to 45 pounds. Larger ones over 50 pounds have been hooked on bait. Commercial fishermen have caught them in their nets weighing near 80 pounds. The world record could easily fall here. We can’t leave out Pompano fishing, the smaller cousin of the Permit. Tampa Bay flats fishing for them can be great and a 5 pounder can really pull hard. Fly fishing guides in these parts also have the rare opportunity to put their client on Mahi Mahi, also known as dolphin fish at times. You never know when offshore a school may show up, and when they do, they love a bright colored fly offered to them. 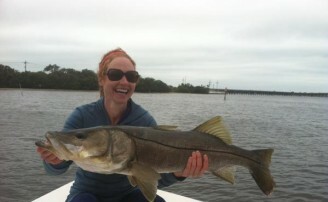 Cobia fishing is also very good on the shallow clear flats of Tampa Bay. During certain times of year, they can be found in very shallow water following rays. This is a fly fisherman’s dream. They get big; they are kind of dumb and will jump on a properly placed fly quickly. In shallow water the Cobia offers classic sight fishing to large hard fighting adversaries. They can also be caught offshore and often show up in a chum slick with other fish. 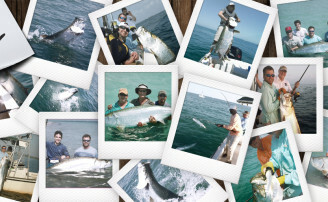 A fly fishing charter for large Sharks is another exciting option we have here to offer. Shark fishing in Tampa Bay is done by chunking pieces of fish in a chum line. When the Shark approaches within fly casting range, the angler presents the fly. Large orange Shark flies are generally hard to beat. Beginner fly fishermen also have the option to warm up on some of the easier targets such as Lady Fish, Speckled Trout, Bluefish, and Mackerel throughout the Bay waters. Fly fishing gear is supplied by the charter captain. A lot of anglers like to bring their own gear. 8 and 9 weight fly rods are best for flats fishing. 9 through 12 weight rods are needed for most offshore opportunities. When Tarpon and Sharks are the objective, we stick with 12 weight rods and large?????? All the fly fishing flies are supplied on our charters. Most of the top fly fishing charter captains actually tie their own. A lot of clients prefer to bring their own, which is always welcomed. You can never have too many flies, and it is always great to catch a fish on a fly that was tied by one’s self.